Hermann Hesse (1877 - 1962), a German-Swiss poet, novelist and painter, is best known for his novel, Siddhartha, published in 1922 in Germany, 1951 in America. It is a spiritual journey of one man's self-discoveries, contemporaneous with Gautama Buddha's life. His psychoanalytic novel, Steppenwolf (published in 1927 in Germany, 1929 in America), reveals Hesse's sense of profound conflict between spiritualism and humanity versus our aggressive "wolf-like" instincts and utter homelessness. Hesse's lyrical, simplistic writing style and themes searching for authenticity and self-meaning, were extremely popular particularly in 1960's America. 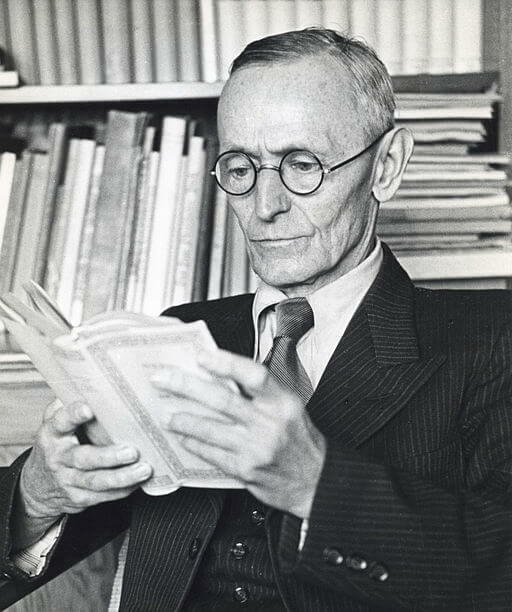 Hesse received the Nobel Prize for Literature in 1946.